Actress Kangana Ranaut is well known for her bold statements and questioning the unethical factors of Bollywood. 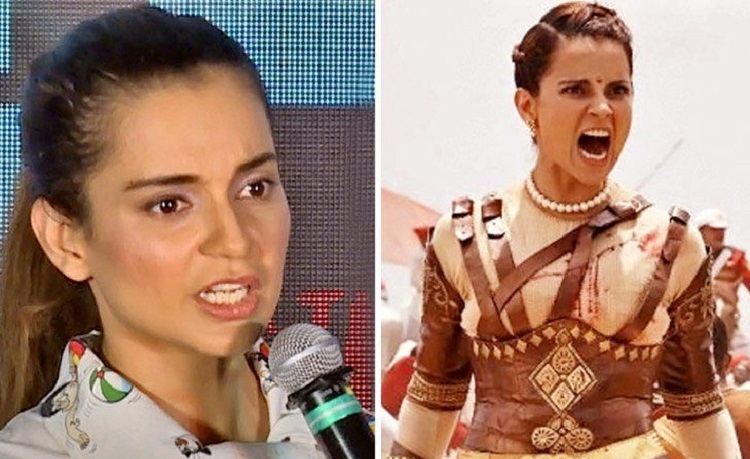 We all are well aware of the controversy over her film Manikarnika and the clashes that went on between Kangana and the director Krish. Kangana now has a strong take on the National awards. Talking about National Film Awards and whether she expects to win one this year for her performance as Rani Laxmibai, Kangana said, "I feel there are certain things which if you will not respect, then it is, in turn, disrespectful for that organisation itself. So, if I or my film Manikarnika... doesn't win at National film awards, then it will question the credibility of that award ceremony but if I come across other good work then, I will be objective enough to say it's better than me." She went onto say that last year, she was floored by Tabu's performance in Andhadhun but, doesn't think anyone would be able to surpass her performance in Manikarnika. Meanwhile, on the work front, Kangana will be next seen in Mental Hai Kya alongside Rajkummar Rao. The actress on her birthday also announced portraying the role of the legendary actress turned politician Jayalalithaa. Kangana will also learn Tamil for the bilingual biopic. The actress wants to go deeper into her character and be closer to Jayalalithaa. The film will be titled Thalaivi. Vicky Kaushal REVEALS his Best on-screen KISS with THIS B-town Diva! Notebook tops IMDb's list of most anticipated films!